What does "game developer" mean? You probably know how important branding has been for decades, but you may not realize how much more important it has become in the past several years. Branding is becoming very important in all game markets. Children tasted 5 pairs of identical foods and beverages in packaging from McDonald’s and matched but unbranded packaging and were asked to indicate if they tasted the same or if one tasted better.... children preferred the tastes of foods and drinks if they thought they were from McDonald’s. Moderator analysis found significantly greater effects of branding among children with more television sets in their homes and children who ate food from McDonald’s more often. In other words, even though the food was identical to taste, children tended to prefer the food with the McDonald’s brand on the package. Second, people are more distrustful of products in general–think of the nationwide hysteria that often arises from the latest death or injury from bad food or badly-designed products. Combine this with the conditioning Lawler talks about, and people *trust* well-known brands (even when a well-known brand, like Tylenol, can invite mal-doers such as the Tylenol poisoner of years ago). People also depend on brands because they’re less able to judge otherwise. The belief in magic and the supernatural, which seems to be much stronger now than in the past, may contribute to this. Recalling Arthur C. Clarke’s dictum that “any sufficiently advanced technology is indistinguishable from magic”, we can suggest that “any technology consumers do not understand seems like magic.” Figuring out which hammer or rake is best, is probably easier than figuring out which cell phone or computer is best. So people depend more on brand names. Branding in film is expressed in tie-ins, sequels, and remakes. Movies are often made based on well-known books, comic books, and games. The idea is that the well-known brand will help bring an audience to the new film. People are more likely to go see a sequel to a well-known film than to see an unknown film. And even remakes are more likely to be better attended, because some people remember the original. In contrast, it’s more expensive to successfully market a completely new property. Game sequels are very common in the video game industry, with the excuse that as technology improves, the games will improve (well, sometimes...). Sequels are “safe”, because the market is already established for the brand, be it Halo or Civilization or Metal Gear Solid. It’s not only in the video game world with its sequel-itis that we see the power of branding in games. “Expansions” for games (board and video) are much more common now than 30 years ago. This may derive partly from including less in the first game than we used to, but it’s also because people are more likely to buy a known quantity. 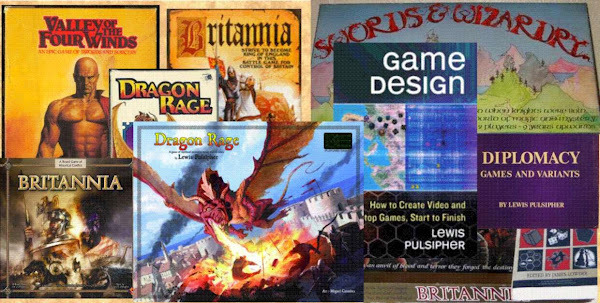 Sequels are much less common in tabletop games, though we do see several games marketed that use the same basic systems, and there’s an entire body of games using the “Settlers of Catan” brand. Why do the Final Fantasy games share that name, even though some have nothing in common with others? Because “Final Fantasy” is one of the strongest brands in video gaming. Why is Blizzard so successful in the video game market? Mostly because they take all the time they need to make their games, but also because their name is such a strong brand that people will buy their games because they were made by Blizzard. Of course, Blizzard has also produced strong game brands such as Warcraft, Diablo, and Starcraft. The MMO World of Warcraft is itself an expression of the power of branding, with its setting derived from a series of three standalone video games. Many games are “based on” well-known films and books (and even other games). Unfortunately, games based on movies, whether video or tabletop, have a deservedly poor reputation, in part because so many are produced in insufficient time so that they can be published when the movie is released. It is much easier, thanks to improved technology, to self-publish games of all types than it was 25 years ago. Consequently, there are a lot more games on the market. Branding helps differentiate your game from one that no one has ever heard of. Hasbro can spend four million dollars in advertising to try to establish an unbranded toy or game, or they can make something with a known name and associations and save a lot of that money. Can a beginning designer take advantage of brands? It’s very unlikely. Companies own those brands (in most cases), and they’ll decide for themselves what games to use with them. They’re quite likely to rely on someone with a strong record of well-made games. In my own experience, my game Britannia (1986 etc.) is a brand, but it’s a brand others can use freely. “Britannia-like” will be a phrase used to describe a game that uses similar systems, even if it isn’t mentioned by the designers/publishers. Those who know Britannia will have an immediate idea of what the game is like, and that familiarity may help sales. That’s what branding does. Programming is the minority endeavor. So why do we still call it “game development," have a flagship magazine named Game Developer, a flagship Game Developers Conference, and a flagship organization called the International Game Developers Association? Here are the problems. First, to people who don’t work for video game companies, a developer is a programmer, someone who codes software. Using the term "game developer" to encompass all of the team that makes video games is quite confusing to computer-knowledgeable people outside the industry. Finally, the general populace rarely knows what a “developer” is in any context. Game engines, a form of CASE tool (Computer Aided Software Engineering), take us in this direction, simplifying programming by (in effect) doing some of it themselves. Constantly, people are trying to write tools that will make programmers less and less necessary, less and less important, in everyday endeavors -- though it will always be true that if we want to improve computers, we’ll need human programmers. On the other hand, programmers tend to be paid more than the other folks involved in game creation, so it’s clearly a skill very much in demand. Evidently, it’s easier to find good artists or designers than good programmers (supply and demand drive salaries). Perhaps the high valuation of programmers goes back to the bane of so many games, elementary errors: many of those elementary errors are programming errors. So why do we call ourselves “game developers”? We can continue to be Humpty Dumpty and use a term that often confuses those outside the industry, or we can adjust to the change in reality -- that programming is no longer the heart of game creation. Why not Game Creators Magazine, Game Creators Conference, International Game Creators Association? If you're a student planning to pursue game creation as a career, and you don’t want to be a programmer, find out whether the school you have in mind runs the programming version of game development, or the broader "game creation" version that accommodates non-programmers. How many free-to-play online games that ask players to pay for additional features are NOT avatar based? (RTS, for example, are not avatar-based.) Something between few and none, I should think. So, are players mostly paying to improve "themselves", their avatar? AAA video games are "Big Meals", free-to-play and casual stuff are "snacks". So how many people eat lots of big meals any more? A lot more snacking and catch-as-you-can eating happens. Twitter is less attractive to those who are used to working alone (tabletop game designers), more attractive to those who work in groups (video game designers). I make representations, not simulations. Mike Gray (Hasbro) says the problem with tabletop games is that someone must read the rules. The further problem with wargames is not only the rules, but that there are "too many decisions". People who are quite happy to play games that don't require too many decisions at once, are "Bewildered by wargames". I saw a question online, "does intuition or theory drive game design?" Neither. Playtest results drive game design, at least, the simple games that Reiner Knizia designs, and that I'm experimenting with. This arises from class discussions, and as with all such initial attempts, is very much subject to revision. Of course, there's no "right" way to categorize something this complex in such a small space. In a traditional solo video game you're actually interacting with the designer. In a tabletop or "newer" video game, you're interacting with other people through situations devised by the designer. In a sense, a great part of interaction with other people could be characterized as “make the right choice before the other person does”. When I want to learn history, I read a good book about it, I don't play a game. When I want a good story, I don't play a game, I read a novel (or watch a movie, though the stories are more shallow, less detailed, than in novels--but they take less effort). When I want an interactive and interesting conflict to resolve, I play a game. If I want an interactive story--but I don't--then the best place might be a video game, though I would do a tabletop RPG first in that case. If I want to "make my own stories", quite a different thing than being fed through an interactive story, then I play a tabletop game. If you want the best experiences of each type, you choose the best format. I do the same with computer software: I don't try to do columns of numbers in a word processor (though it can be done), I use a spreadsheet program. I don't try to draw diagrams with a spreadsheet (though I can), or even with Powerpoint, I use a drawing or diagramming program. If I want to play a video game, I'm not going to find it in that drawing program. And so on. But there are lots of people who play a game to learn history, because they don't want to read a book. And there are people who play games for stories, usually because they want to have something to do during the story. Just as there are people who make drawings with Powerpoint.